3D Image of braided fluvial system (orange) where contaminant plume is concentrated, as superimposed over an aerial photograph of the site. 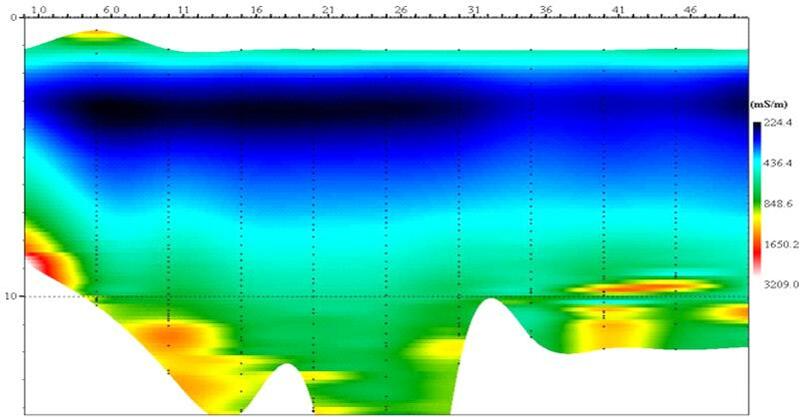 Earth Systems utilises its expertise in cutting-edge, non-invasive geophysical survey and mapping techniques to provide cost-effective subsurface exploration services for a range of environmental investigations. Using state-of-the-art non-invasive geophysical techniques, Earth systems can identify contaminated seeps and aquifers, and map groundwater quality and contaminant dispersal as well as subsurface geology. Earth Systems geophysical mapping techniques can potentially allow differentiation between zones horizontally and vertically, delivering cross-sections, 2D maps at desired depths or 3D images. Identification and mapping of leaks from dams, tanks or channels. Characterisation of aquifer system at a power station to establish connectivity between aquifers and saline seeps. 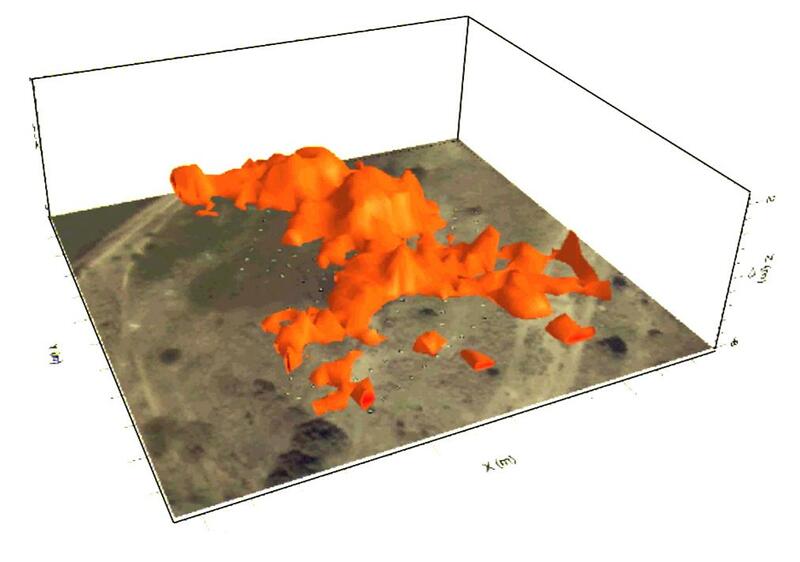 Identification of sulphate distribution at an abandoned mine in South Australia. Identification of water accumulation within mine wastes to assess geotechnical stability and develop remediation actions. Characterisation of potential pollutant migration paths from a landfill to prevent potential contamination of Ramsar wetlands. Characterisation of pollutant plumes at an industrial site to assess suitability of remediation actions.